In light of her ankylosing spondylitis (AS) diagnosis, Isabel Lanssens was forced to quit the sport that she had always been so passionate about: long distance running. However, her life made a 360-degree turn last year when she committed to running ten seconds every day. Isabel gradually worked up to running much longer distances than she’d ever dreamed of completing again, and because of her incredible progress in running and prospering in the face of AS, her family and friends dubbed her their “Superwoman,” a nickname she humbly brushes aside by claiming that she is no different than any other AS patient. Instead she attributes her athletic success to taking small steps forward, living her life to the fullest, and never giving up. 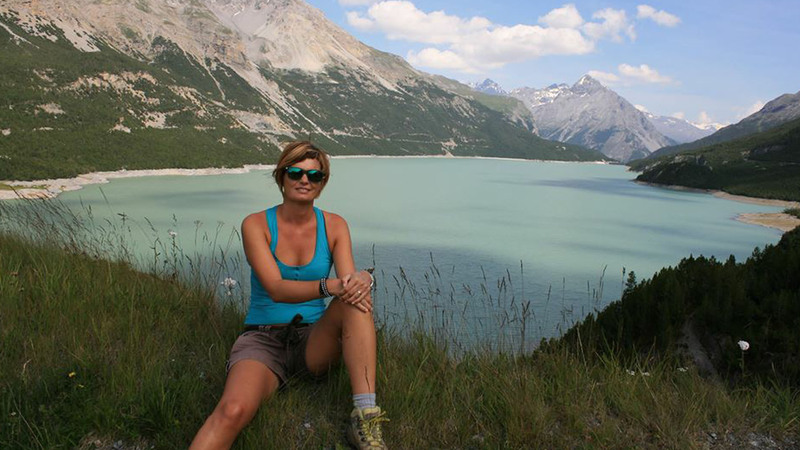 Isabel first learned of her ankylosing spondylitis diagnosis when she was 31, several years after she became a runner. Her disease put her in so much pain that she was forced to let go of running, until she tried a new biologic in 2014 that made her feel stronger than she had in years. Tempted to try running again, she began her ten second challenge and in tiny, manageable increments, began running longer distances. Her small steps eventually led to enormous strides, and over time her previous runs of ten seconds morphed into runs of ten miles. Currently she plans to compete in the Antwerp ten-miler and later on in the year and compete several other races, including a half marathon. All of her races will benefit arthritis research through the Arthritis National Research Foundation’s Racing For a Cure team. While she enjoys conquering long distances, her first love is cherishing each small step she takes to arrive at her destination. Since her disease is completely unpredictable, her training and racing schedule is not set in stone, yet she embraces her good days by running as far as her body will allow and is flexible on bad days to rest and recover. Support Isabel as she Kicks AS through Racing For a Cure! Since AS and many forms of arthritis are often “invisible” diseases, often people mistake Isabel’s cheery exterior as a sign that she is feeling healthy. Often the opposite is true as she strives to maintain her positive outlook. However, she shared that she is not always as positive as she appears. In fact, when she recently had to quit her job after only two days of working, she became deeply frustrated that she cannot live the way she wants. Isabel has learned to come out on the other side and turn set backs like this into a strengthened resolve to raise awareness and funds for AS and other related chronic diseases. When Isabel reflects on her journey of managing her AS, she recalls that her determination to continue fighting on her hardest days is what got her back out on the roads competing in the sport she loves. She advises other fellow arthritis-fighters to take it slowly, embrace the challenges, and most importantly, never give up. Are you a runner battling arthritis? Do you know an arthritis patient that you think is a superhero? We want to hear your incredible stories! Do you have an arthritis awareness story to share? We share your arthritis stories in an effort to make a difference by giving arthritis patients a voice, raising arthritis awareness and raising awareness about the need for more funds for research. Awareness of arthritis and the need for research are key components to the quest to finding a cure for arthritis. Please consider making a donation today in support of this critical research. To share your arthritis story, contact us. I’ve run 17 marathons , many halfs and at my peak was just a hair under a 3 hr marathon. For the past two years I have not been able to race because many times it hurt to much to run. . I’ve just received the news that I have AS and I mean as in today. It explains so many things over the years., so many times I was training or complaining about pain thinking I must be soft or crazy because of the way the pain shifted thought my body. Some days I could run pain free and other days it was hard to put my socks on. I’m not sure what’s ahead but now that I know why I hurt at times, I can finally work around it and adjust better mentally to it. My plan is to keep running and get back on track. I feel luckier than ever to know though stories of other runners with AS it can be done. I am a 64 year old man just recently diagnosed with AS and a 15 time marathon finisher. 2 weeks before my marathon in 10/15 i felt a horrible pain lower abdominal, lower back,hip and inner thigh areas. My DR told me to rest to rest for a few weeks diagnosed with an “old pelvic fracture”, which i never had! At mile 18 of the marathon, the pain came back and although i finished i could hardly walk. The following 3 months i went to PT at the request of DR’s who also misdiagnosed me with Pubic synthesis disorder. After painful injections and no running for 2 months i was cleared to train again and of course targeted another marathon in 2/16. 4 weeks before the race, the pain came back and did it ever. I went back to the same drs but this time, I also went to my general DR who ordered a full set of blood tests INCLUDING one for arthritis. That’s when i learned about the HLA-B27 genetic marker. When i saw the rheumatologist he quickly diagnosed me with AS. He said that all the years i was active sort of kept the spread of the disease to a minimum. He also said that i was his oldest patient that he had diagnosed with AS, since most diagnosis are done at a much earlier age.Thinking back, i had back pain as early as when i was a teenager. The Dr prescribed HUMERA and Meloxicam and I started to train again. Although i do feel the pain at times and scared when the flare ups will occur, i am back doing the thing that i love to do, training for another marathon in Oct 2016. If you are having lower back pain, get an MRI, take a blood test. The genetic marker along with lower back pain most of the time =’s AS. Anyway, if you get the proper treatment you can live an active and healthy lifestyle. Way to go Michael! We’re proud of you and your attitude. Keep it up! I have been running for last two years, very active in my training. Did my first full marathon in Tata Mumbai Marathon last year in 2018 with a good time of 3:34. But this year in training I suddenly felt pain 6 months back in my lower back & groin and stiffness around. After showing many ortho doctors and physiologists no improvement was there.Then the physician diagnosed me with Ankylosing Spondylitis and treatment started. With this acute pain my movement was restricted. But after 4 months I started to run again with pain. I have just finished my full marathon with AS pain and managed to finish it in 4:46 at Tata Mumbai Marathon on 20th January 2019. Hoping to continue my running, keeping active, feeling positive even with this dreaded pain and restricted movements. God bless all of us who try to fight such adversities and keep giving us strength.